An extremely rare game, this is the first creation of Stuart Smith. Later, he would go on to produce such greats as Ali Baba and Adventure Construction Set. 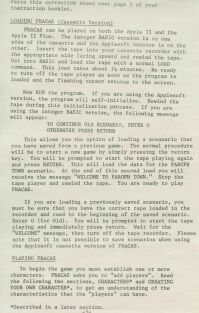 This is one of the first fantasy computer games ever made. This is the original release that he self-published.